This article "hits the nail on the head" in the way it accurately describes my own personal experience, as well as what I’ve witnessed for years while watching the experiences of others. It contains one of most accurate analogies for Weight-loss and Maintenance that I’ve ever heard. Some might find it depressing, but here in my 8th year (now starting my 12th year) of maintaining a very large weight-loss, I find it encouraging and positive to hear a medical professional, who is an expert in obesity, speak the unvarnished Truth. Despite the fact that this Truth is rather unpleasant, and isn’t something we’re ever going to hear from Marketing Interests… (which includes most doctors and nutritionists) …. Facing it, Understanding it, and Accepting it, can be very helpful. 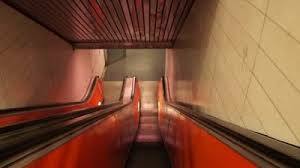 One of the games I used to play as a kid was to run Down the UP escalator. To get to the bottom, I had to run faster than the escalator was moving up. If I ran any slower, the escalator would gradually but steadily take me back to the top. In fact, even to just stay half-way down, I’d have to keep running at about the speed the escalator was moving up. If I stopped running even for a second, I’d be moving up again. As you may guess, I am using this analogy, to illustrate the challenge of losing weight and keeping it off. The escalator represents all the complex neuroendocrine responses to weight loss that will always want to take you back to the top – the only way to reach the bottom or to even maintain your place half-way down is to keep running. Alas, in real life, the weight-loss escalator is even trickier. For one, there is no real bottom – i.e. no matter how fast you run, you will never reach the bottom and be able to simply get off. No matter how far down the escalator you manage to get, you are still running on the escalator and it will keep moving you back up to the top the minute you stop running. But things get even more depressing, because, the further down the escalator you get, the faster it runs. This means that the further down the escalator you manage to get – the harder you have to keep running to just stay where you are. Or, in other words, when you start from the top, the escalator is running relatively slowly and you may easily manage to get down the first 5 steps. But as you go down, the escalator picks up speed and so, if you just keep up running with the speed you started at, you may not even manage to hold your place 5 steps down. And, to get to 10 steps down, you’ll definitely have to speed up – unfortunately, with every additional step you manage to make your way down, the escalator moves up even faster. By the time you manage to get down 20 steps, the escalator is moving upward so fast that it is all you can do to just try and not be carried back up. If we could only find a way to slow down the escalator. Or even better, if you could only get to the bottom and get off! Alas – that is not how our bodies work. Yes, for some people the escalator moves more slowly than for others – this is why they find it easier to run down and it takes them less effort to maintain their position half-way down. Others have to fight harder to get there and for others, the escalator simply gets too fast, eventually carrying them all the way back up – no matter how hard they try. Bariatric surgery and obesity medication can help slow down the escalator or rather, prevent it from speeding up quite as fast as you try to run down. This is why you can maintain a lower spot on the escalator with the same effort as before – but go off your meds or reverse the surgery and the escalator speeds up again only to carry you back all the way to the top. Why is the escalator analogy important to understand? At this point I want to add a couple of important points to this analogy. Firstly, it is important to remember that whatever took you to the top of the escalator, if not addressed, will make the descent even harder (if not impossible). In the simplest case – to use an analogy that a reader sent in – imagine trying to run down the escalator on one leg – it’s going to be so much harder than with two legs. So if arthritis in one knee took you to the top of the elevator in the first place, trying to get back down while your knee is still killing you is going to be so much more difficult than if your knees were OK. Similarly, if depression or binge eating took you up the escalator, trying to get down that escalator while still depressed or still not in control of your eating is going to to be so much harder than if these problems were resolved. It may help to think of whatever took you to the top of that escalator as additional baggage that you have to lug along as you try to run down – the heavier the bags, the harder it is going to be. As readers will realize, those excess bags could be anything – from a genetic predisposition, to medications that you might be on, to lack of sleep, to high stress levels, to intimate saboteurs, to relationship issues, to loneliness, to body image issues, to childhood trauma – the list goes on and on…. This is why it makes a lot of sense to first deal with what took you to the top before beginning your journey down that up-escalator. But, even if the underlying problem is dealt with – you will still be trying to run down the up-escalator – that unfortunately will never change – it will only get somewhat easier the less baggage you have to carry. But why does the escalator move up in the first place and why does the escalator analogy have important implications for how we address obesity treatments? Why use the escalator analogy at all? Why is the escalator moving up? Why does it get faster as you get further down? And why is there no bottom, where you can simply get off? Let’s start with the upward moving escalator – most of us are on it to start with as most of us tend to gain weight with age – unfortunately, some people faster than others. Very few of us manage to keep our teenage weights into late adulthood. There are many reasons for this – for one, our metabolism “slows down” as we get older, so do our levels of physical activity. Then there are other drivers of weight gain that tend to accumulate as we get older – stress, lack of sleep, arthritis, medications, to name a few. This means that for most of us, to not be carried higher on that escalator, we already have to take the occasional step down – the faster our personal escalator is moving up, the more effort we will have to put into simply “marking time”. But that’s the easy part (preventing initial weight gain is always easier than treating obesity). To lose weight, you have to actually start moving down the escalator faster than it is moving up. Depending on how fast your personal escalator is moving up, the more effort this will take. The tricky part comes when the escalator starts speeding up as you make your way down – this is what is often referred to as the “starvation response” – a complex series of metabolic and behavioral responses aimed at preventing further weight loss and promoting weight regain. In previous posts I have discussed some of these factors – leptin, ghrelin, sympathetic nerve activity, body temperature – the net result is that as you get lower down on the escalator, the fewer calories you need and the greater your hunger and appetite gets. This is why, keeping weight off gets harder and harder rather than easier and easier the more weight you lose. (Many people think that if I can only lose the first 20 lbs, losing the next 20 will be easier – that is almost never true). Finally, why is there no bottom where I can simply get off? This is because based on the “setpoint theory” (which is actually far more than just a “theory”), your body always wants to get back to its highest weight (or back to the top of the escalator). Unfortunately, from everything we know about weight management, there is no “cure” for obesity – meaning you will always have to continue doing whatever it is you did to lose the weight to keep it off. As I noted in my previous post, anti-obesity medications or surgery may make keeping weight off somewhat easier, but they do not “cure” obesity – stop your medications or reverse your surgery and your weight comes right back. This appears to be a rule in weight management – when you stop the treatment, the weight comes back (the same goes for “diet and exercise” as a treatment). Although depressing, I do hope the escalator analogy is helpful in understanding how weight management works, why keeping weight off is so difficult, why very few people can ever hope to reach and maintain their “dream weight”. Anyone, who promises you anything else is simply not being honest. No doubt we need more effective treatments for obesity and perhaps one day we may even find a “cure” – till then, we’ve got to work with what we have. 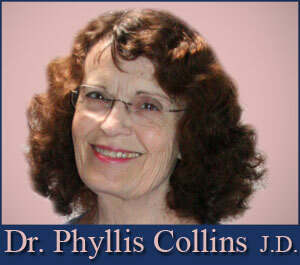 I’ve experienced a lifetime of dieting in order to avoid, and to end, my obesity. I always thought that: if, and when, I got to normal weight, and managed to stay there for 5 years, by then my body would adjust to being normal size, so that eating only what my body needed to maintain my weight-loss, would become more “natural”, and therefore be less difficult. Here in my 8th year, (now working on my12th) I am still running Down the Up escalator, and the past several years, that escalator HAS been speeding up. Maintaining my body at a normal weight is harder now in my 8th year (now 12th year) than it was the first two years after arriving at my goal weight. … and it was NOT easy then. Nevertheless, I am committed to continue. NOTE: DietHobby originally posted this article on 7/7/2013, and I'm bumping it up for new members. stand to lose a few pounds." In a recent conversation with an M.D., when giving an opinion he incorrectly used the term BMI instead of BMR. 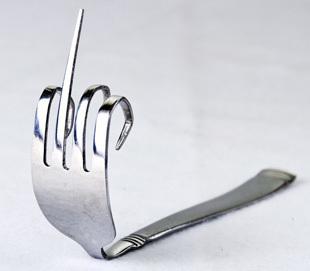 I interjected “BMR?”, and he frowned & shook his head sideways indicating “no”. I continued with “BMR, not BMI,.. you know .. Basil Metabolic Rate, … from formulas like Harris-Benedict, or Mifflin? The calories burned without activity, like when you are in a coma.” He responded on a different track, saying people used a lot of energy even in a coma, and never made any correction, or acknowledgment that he even understood his error. So I thought, Is there some basic information about BMI & BMR that I missed? Are they, in some way, interchangeably connected? Further research verified my original understanding, which is spelled-out below. 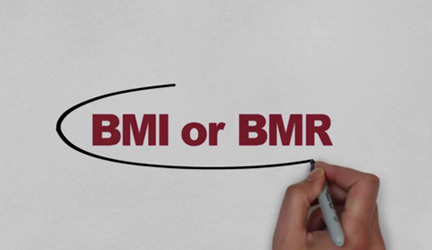 First, although the abbreviations BMI and BMR sound similar, they stand for two separate things. Your BMI, or body mass index, is a number calculated from your height and weight which is then used to assess your body composition. 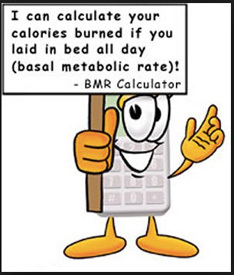 Your BMR, or basal metabolic rate, is the number of calories you burn when your body is at rest. These two terms are independent of each other, but your BMI may indirectly affect your BMR. Your BMI is an indirect measure of your body composition -- or how much body fat you have. Although BMI doesn’t measure body fat directly, it uses your weight and height to determine whether you’re classified as underweight, normal weight, overweight or obese. This measurement correlates moderately well with other measurements of body fat such as skinfold measurements and underwater weighing. BMI is based on your height & your weight. There are many online calculators that will easily run BMI equations and provide your individual numbers. 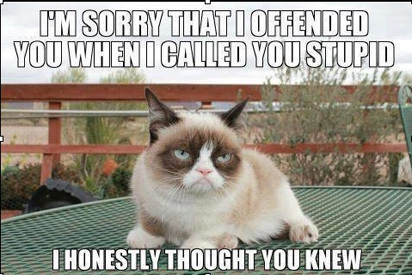 Here’s a link to one that I commonly use. The equation looks like this: BMI = (weight / height x height) x 703. 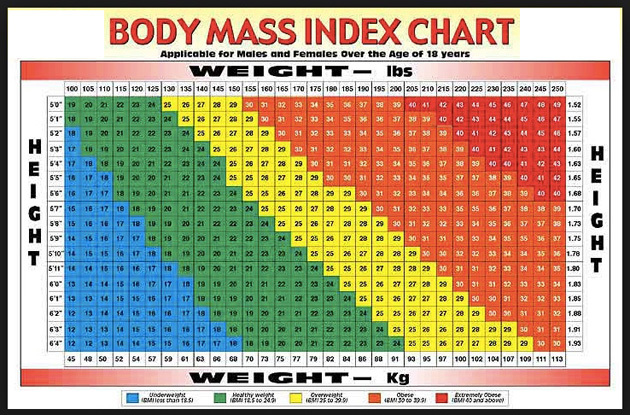 A BMI below 18.5 indicates that you’re underweight; a BMI between 18.5 and 24.9 classifies you as a normal weight; a BMI between 25 and 29.9 puts you in the overweight category; a BMI of 30 or above classifies you as obese. Because it's not a direct measurement, BMI is only used as a screening tool and is not considered a diagnostic test. There are also some limitations to this measurement. Because BMI uses only height and weight, it doesn’t account for people who may be of below-average height but above-average muscle mass, like bodybuilders. If a man has a lot of muscle, which is denser than fat, his BMI may categorize him as overweight, when his weight is actually healthy. 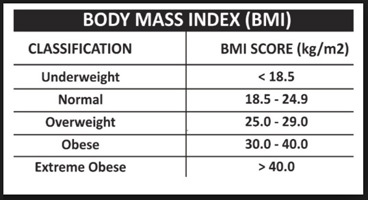 BMI also doesn’t adjust for age or gender. Women naturally have more body fat than men, and older people tend to have more body fat than younger people. So a sedentary older woman with a normal-to-overweght BMI, who has low muscle mass might be mistakenly considered to be "overly" fat. Your BMR is the number of calories your body burns at rest to do basic functions like breathing, digesting, keeping your heart beating and all the other physiological tasks that keep you alive. Your BMR is partly determined by genetics, but other factors, like your body composition and activity level, may also have an effect on your BMR. There are equations used to determine your BMR, and they differ based on whether you're a man or a woman. The two most widely formulas to determine BMR are the newer and more accurate Mifflin St JEOR equation, and the old pre-1920s Harris-Benedict equation. The formulas use height, weight, and age. While these equations can be a good starting place, it is important to understand that these numbers are based on AVERAGES, and it is common for someone’s ACTUAL personal number to be 15% lower (or higher). 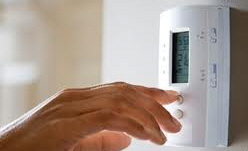 There are also Outliers, who have individual numbers which can be VERY far away from the Average stated number. There are many online calculators that will easily run these equations and provide your individual Number Average. 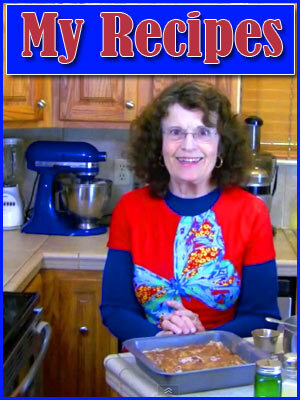 Here’s a link to one I commonly use. The Mifflin equation (1990) looks like this: 10 × (weight in kg) + (6.25 × height in cm) - (5 × age in years) - 161. The Harris-Benedict equation (1918) looks like this: 655 + (4.35 x weight in pounds) + (4.7 x height in inches) – (4.7 x age in years). Several factors affect your basal metabolic rate -- and body fat composition is one of them. Those with more muscle mass tend to burn more calories at rest because muscle tissue requires more calories to maintain than fat tissue. BMI and BMR are not directly related. However, if you have a high BMI because you have a high body fat percentage, your BMR might be lower than the number given. If you have a high BMI because you have a large amount of muscle mass, your BMR might be higher than the number given. Additionally, if you are very active, but overweight, your BMR might be higher than the number given. BMI and BMR are Guidelines that allow nutrition and medical professionals to make educated determinations about your body composition and calorie burn, but every person should still be viewed individually. At my age, I’ve realized two things.